If you are looking for property for sale in Inwood TX, New Braunfels, San Antonio, Schertz or Spring Branch Stone Oak TX, then Remax Associates – Allen Realty Group can help. They already have a comprehensive portfolio of properties for sale including commercial properties, residential home, ranches, vacation home, plots and more. They may well just have exactly what you are looking for. They can also help you if you have a property you want to sell. They know how to find the right buyer. It does not matter whether you have a commercial or residential property you want to sell. 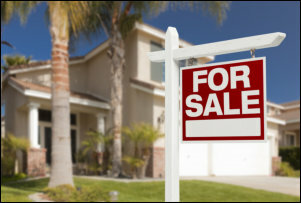 A good place to start your search for a property for sale is on your realtor’s website. A good real estate website will have search engine that will allow you to search properties using a range of useful parameters. Maybe you are looking for a single-family home in San Antonio in the $250000 – $300000 price range. Then you will be pleasantly surprised that you can find a nice 4-bedroom home with 2 bath rooms. This type of family home will have nice features such as open plan kitchen, breakfast nook, spacious living room, covered patio, utility room and more. You will find many options when looking for a property for sale in Inwood TX, New Braunfels, San Antonio, Schertz or Spring Branch Stone Oak TX. There are townhouses, apartments, family homes, vacations homes, ranches as well as commercial properties for sale. Once you have narrowed your search your realtor will help with property inspection and all the finer details that are involved in buying or selling property. The areas of Inwood TX, New Braunfels, San Antonio, Schertz or Spring Branch Stone Oak TX are in high demand. Property prices are still affordable so now is a good time to start your search for a property for sale. Prices are on the rise. You have many choices when it comes to homes for sale in Alamo Heights, Boerne, Cibolo, Inwood TX, New Braunfels or San Antonio. 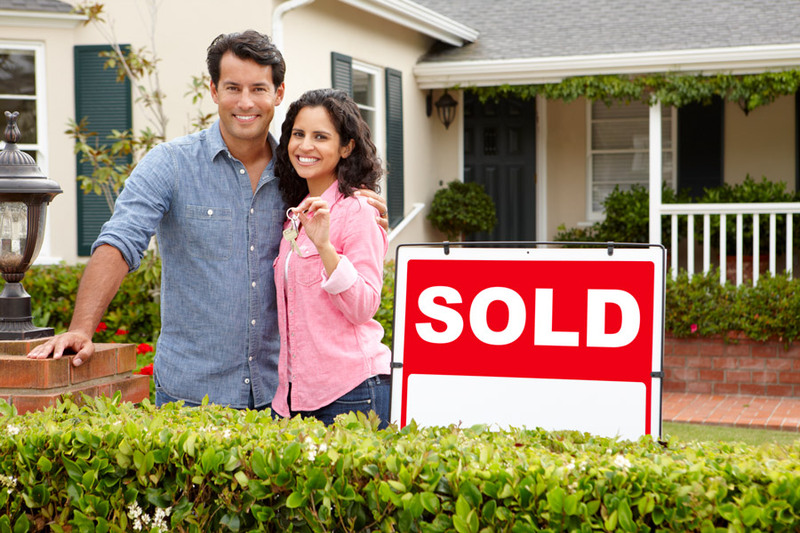 Remax Associates – Allen Realty Group can help you make the right choices. Now there are good reasons to want to live in a place like San Antonia. It is a happy city. This area has a rich history and is home to many historical sites including the National Historical Park. San Antonio has a diverse makeup and its like living in small town within a big city. Prices and rents are low when compared to other big cities. San Antonio is also home to military bases and hospitals so there is a patriotic feeing and culture. The weather in San Antonio is great and whilst people to the north are shoveling snow you can will be sipping sun downers on your patio. There is always something to do in San Antonio and the famous river walk is a big attraction. Here you can walk carefree and you will find restaurants, hotels, shops and beautiful trees. It is a great place to spend time. The economy is also good. Sustainable industries include healthcare, bioscience, aerospace, information technology and more. Property taxes are low, and the areas accessibility and go-location make it an attractive option for business expansion and start-ups. There are many incentives to do business in San Antonio and surrounds including tax abatements and rebates. So it is understandable that you might be looking for homes for sale in Alamo Heights, Boerne, Cibolo, Inwood TX, New Braunfels or San Antonio. There are homes for all tastes and budgets and Remax Associates can help you find the right property, be it a big home, a condo or an apartment. One of the cornerstones of portfolio management lies in not putting all your eggs in one basket, i.e. the allocation of funds across a wide variety of asset classes. Real estate helps balance your portfolio by counteracting the volatility of other assets, while ensuring that you’re duly exposed to all the upsize that a bullish economic cycle has to offer. Additionally, the emergence of real estate investment trusts (REITs) ensures that you don’t even need to incur the costs associated with acquiring and maintaining a physical asset, and still gain an exposure to real estate as an asset class. Given that real estate is a hard tangible asset, it is very easy for an investor to raise funds by pledging the real estate asset itself as your loan collateral. Further, you would be utilizing leverage to finance your initial capex as you would be paying down your mortgage by renting out your property. Like a retirement savings plan, any mark-to-market gains on your real estate holdings are shielded from taxes till you choose to lock in your profits by selling the asset. This benefit only compounds when you hold many such assets in your portfolio. Further, the very investment you make can be eligible for a number of tax cesses. For starters, the cost of financing and operating your property can be deducted from your overall income liable for tax. So, if you are interested, get in touch with us now. Do you want to live in San Antonio, a fast-growing hub of rich cultural history and the posh, modern life full of restaurants, shopping centers, and other city-life essentials? Along with this, San Antonio is also known for its River Walk which allows you to enjoy the beauty of the cascading river flowing from downtown through the Pearl Brewery District at the San Antonio Zoo. There are a number of growing communities in this region so the possibilities of finding a new home in this area are also endless. All you need is a good real estate agent. We, at Allen Realty Group, can help. We can offer you MLS services, Remax, and all types of homes and property sales in areas like Inwood TX, New Braunfels, San Antonio, Schertz, Spring Branch, and Stone Oak TX. We also assist you with short sale and foreclosures, and military relocation, along with guiding you professionally at every step, right from the contract to the closing. But the question remains how to find a good real estate agent? Here, we have gathered a few tips for you. Take a look. There will be so many others like you who are looking for a house in some of the most lucrative locations in America. Ask experienced people who have successfully purchased homes with the help of an agent, amongst your friends and family to give you some references regarding a good real estate agent. Nowadays, Google has the answer to everything. After you shortlist a few names, research on their work, background, and reputation on the Internet. Check their customer feedback, online reviews, and ratings to take a well-informed decision. So, what are you waiting for? 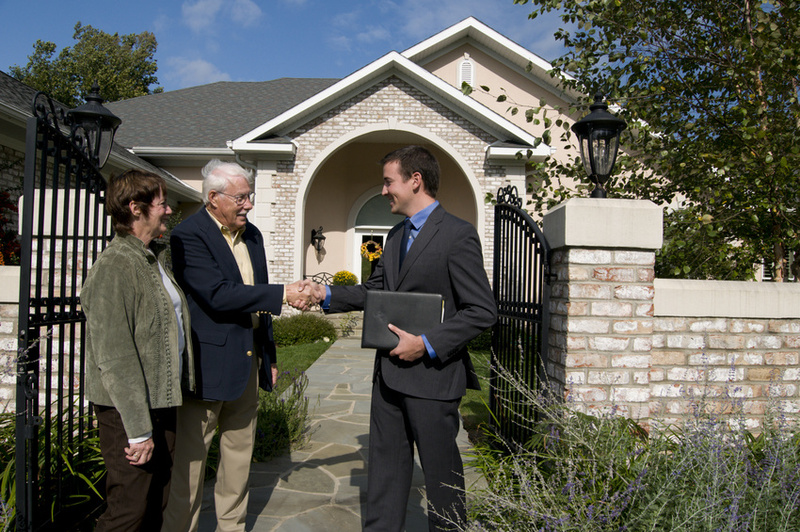 Now that you know how to find a good agent, get going from today. And if you feel, we can be the right choice for you, contact us at the earliest. Are you looking for a real estate company to help you find the home of your dreams? There can be several reasons for buying a new home. You might need more space, looking for a well-built and better aesthetically designed home, need more amenities like nearby departmental stores, medical facilities or accessible transportation, or simply want to change to a safer or friendlier neighborhood. And an experienced and trained real estate agent can find you a home according to taste and preferences within the budget. We, at Allen Realty Group, can offer you Remax, MLS services, and a wide range of homes and properties for sale in and around areas like Alamo Heights, Boerne, Inwood TX, New Braunfels, San Antonio, and Schertz. We have some of the most lucrative properties in San Antonio, which is the 7th largest city in the USA. 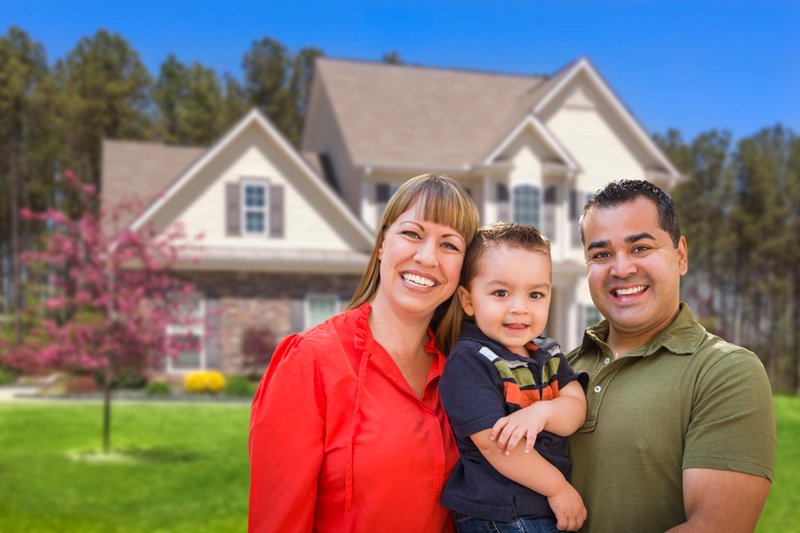 We also provide you with military relocation, short sale, and foreclosure assistance from a certified expert. We are known for our professional guidance with respect to every aspect, right from contract to closing, and an award-winning client service. 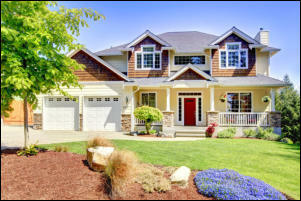 Here, we have put together a few questions you need to ask a real estate company. Take a look. Which kinds of communities do you offer for the properties? One of the important aspects of choosing a residential property is the sort of community life you will be experiencing. Therefore, you need to know which kinds of communities are covered by the particular real estate agency you are considering. What are the salient features of the properties you have? Being renowned real estate companies, they must have a listing of several homes and properties. So, after telling them your preferences and requirements, you need to ask the company whether they have homes that you are looking for. So, if all the pivotal questions have been asked and you think, we can be the right choice for you, then quickly call us at 210-215-7440 now. There is a bug demand for real estate in Inwood TX, New Braunfels, San Antonio, Schertz, Spring Branch and Stone Oak TX. Remax Associates – Allen Realty Group is your friend in the real estate business and they can help you whether you are looking to sell, buy or rent. San Antonio is one of the largest cities in the US and fast growing. This vibrant metropolis is rich in culture, has great attractions and offers opportunities to newcomers. The River Walk is one of the top attractions in San Antonio. Walk or cycle along a network of paved pathways and charming stone bridges while soaking up the natural scenery or sampling fine food at one of the many restaurants along the walkways. Other attractions include theme parks, a Zoo, museums, water parks and golfing. The region is home to prime real estate. San Antonio and surrounds has seen strong economic growth in recent years and this is good for real estate. The area is also home to multiple military bases which adds to patriotic culture of the region. The presence of military bases also adds to the demand for real estate in the region. San Antonio is also known for great food such as tex-mex and BBQ and farm to market comfort food. The regions wine industry is also growing at a rapid pace. Although demand for real estate is rising, living costs in the region is lower than in most other metropoles. That is another good reason to consider living in the San Antonio region. Whether you want to buy or sell real estate in Inwood TX, New Braunfels, San Antonio, Schertz, Spring Branch and Stone Oak TX, a consultant at Allen Realty is ready to help. They help you will all types of real estate, from residential to commercial.